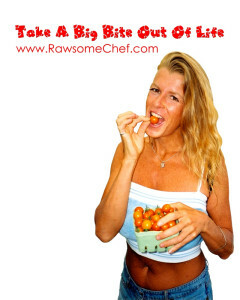 Welcome to my Rawsome World! Crack open the MonaVie and be a gorgeous Goddess-sent guest of the yummiest heavens with magical Me. Location: 809 Davie St, Vancouver, B.C. Looking forward to bringing in a bold, brave and brilliant New Year with all of the shining stars in my clear and cloudless sky! MERRY CHRISTMAS PRESENT-ation from MONAVIE and ME! 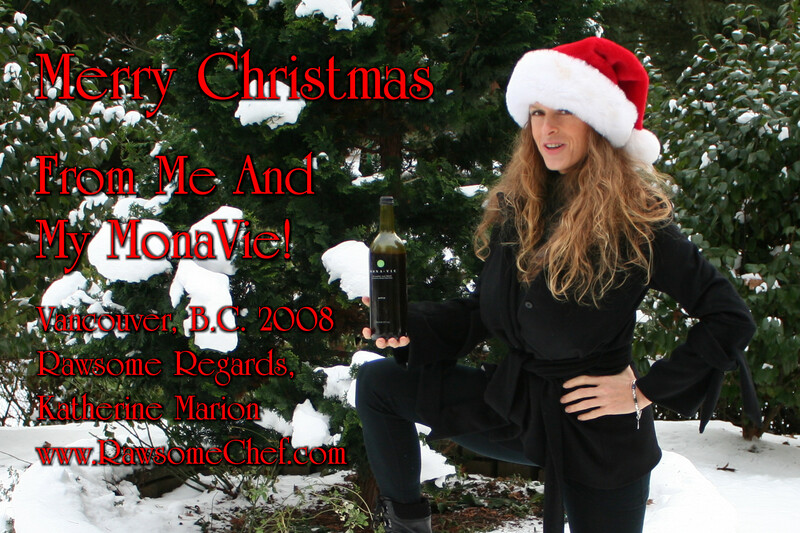 Certified Live-Food Chef and Conscious Consultant: Katherine Marion; shall be sipping the tastiest freeze-dried Superfood drink, with fabulous friends, special new acquaintances, and respected associates, this hallowed holiday season. You need no other reason than A XMAS WISH COME TRUE to become healthier, happier and healed! Call Katherine to book your yummiest date with delectable destiny. Phone: 604-266-5483 to book a tempting tasting at your earliest convenience. You may just save your own life and/or the ones you so dearly Love. What greater gift is there to give? Be sure and inquire on special pricing per bottle and by the case. Immediate shipping, available. Raw Vegan Un-Getti Demo: 7:00 p.m.
P.S. This pure and precious party is in Poco at my new consciousness-raising space/gallery/raw kitchen/high energy vortex. Please call ahead for my easy to find address, just off the freeway and a mere 40 mins from Vancouver and close to anywhere else in this wondrous world. Time: 3:00 p.m. - 4:30 p.m. : Host of Honour speaking , audience interaction, questions answered and take-home recipes included. 4:30 p.m. - 5:30 p.m. Yummy Mummy's dinner is served and enjoyed by hungry, loving souls gifted with an appetite for life! Cost: $50.00 per person - discount available upon request for single Mothers. Free Door Prizes. Everyone's a Winner!!! Four course gourmet raw, vegan meal consciously prepared with local, organic, farm fresh produce. Enzyme rich and nutrient packed goodness, from Mother Nature; our true healer and giver of life and love. Pure and precious plants, seeds, nuts and fruits, plucked from earth, branch and vine. Two hours of Goddess-sent guidance, leading you back to your highest self and supporting you on your rawsome return to health, happiness and healing. A fun and entertaining evening of conscious communion, heavenly humour, bitter-sweet truth, and delicious delectables. Come and be the best you can be! P.S. Miracle Cure for diabetes, congestive heart failure, kidney dysfunction, candida, sinusitis, and a host of other maladies, mis-created by an unloving lifestyle. Oxygenate your inner environment. Hydrate. Alkalinize. Take control of your life. Own your power and reclaim your Vibrant Victor!